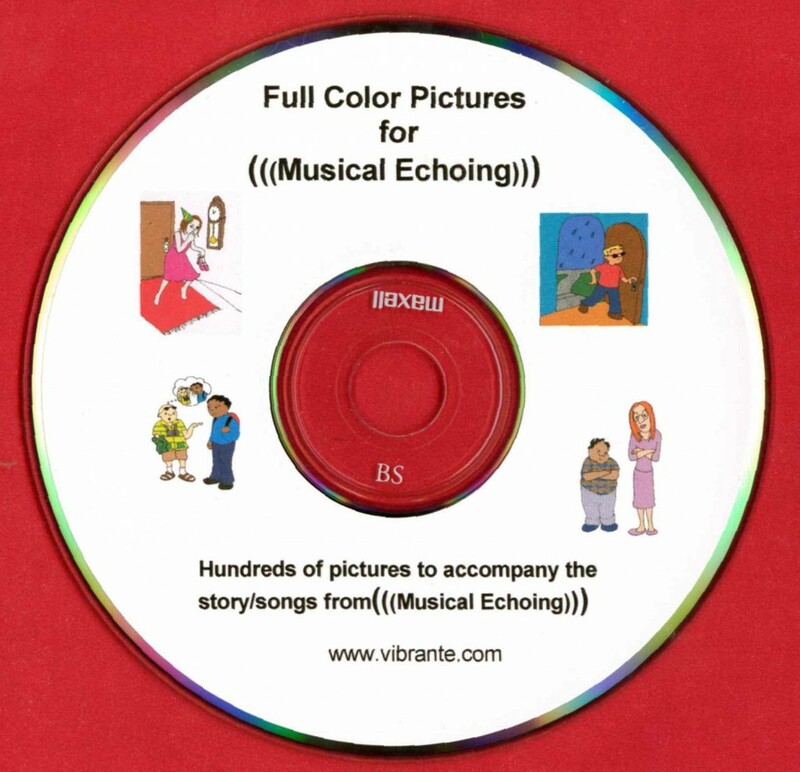 Musical Echoing Picture CD is an optional part of the Musical Echoing Program (not included with the whole program price). This CD has all the over 200 pictures used in the program colored for use on flashcards, power points, interactive white boards or other imaginative uses deemed necessary by the individual teacher. The Musical Echoing Program already includes the black and white drawings ready to print onto cardstock and color according to the teacher's taste. However, some teachers have asked that these pictures be made available in color as they would rather spend money than their valuable time. So, here they are.